I have a really complicated relationship with Mother’s Day. I took Ivy for a run yesterday and while running across a cross walk on the rail trail a guy in a huge pick up truck, slowed down, rolled down the window and shouted “Happy Mother’s Day!” to us. That random act of kindness made me feel so incredibly happy (especially when I had struggled throughout the run). At the same time I also feel ambivalent about my role as mother. Lots of people wished me a “Happy First Mother’s Day,” Ryan’s mother even sent a card to the same effect. For me, for Ryan, the word FIRST stings. Its a reminder to both of us that we should have two little ones, Owen and Ivy, and its a reminder to me personally that my relationship to Owen and his legacy is tricky. 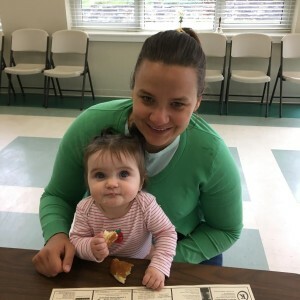 Ivy and I at post-church Mother’s Day breakfast. She loves pancakes. In our little family unit (Ryan, myself, Ivy and Owen Otter), I’m Owen Otter’s Momma Kelly (yes, we give voice to Owen Otter and treat him as part of the family). In the world at large, it is difficult for me to find the right words to describe my relationship to Owen. In our fundraising efforts I describe Owen as “my husband’s infant son” or “Ivy’s half brother” — I define him by his relationship to others, not me. There are times I would like to be able to say “my step son” but I go with accuracy (Ryan and I weren’t married when Owen was born) over sentiment and decline to use the phrase. 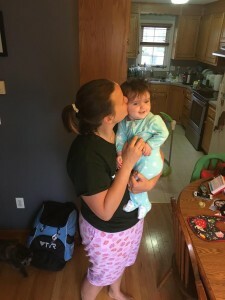 How can I, how can we, explain to the world at large that both Ryan and I were preparing for Owen’s arrival — we picked out the crib, we hired an attorney to address custody issues and we had started looking at day cares. How do I explain that it wasn’t just Ryan, but both of us, who were devastated beyond words when Owen passed after twenty four hours and fifteen minutes of life? How does anyone describe the emotions that come with sitting a small room watching this tiny, perfect human struggle breath and slowly pass away in front of your eyes? 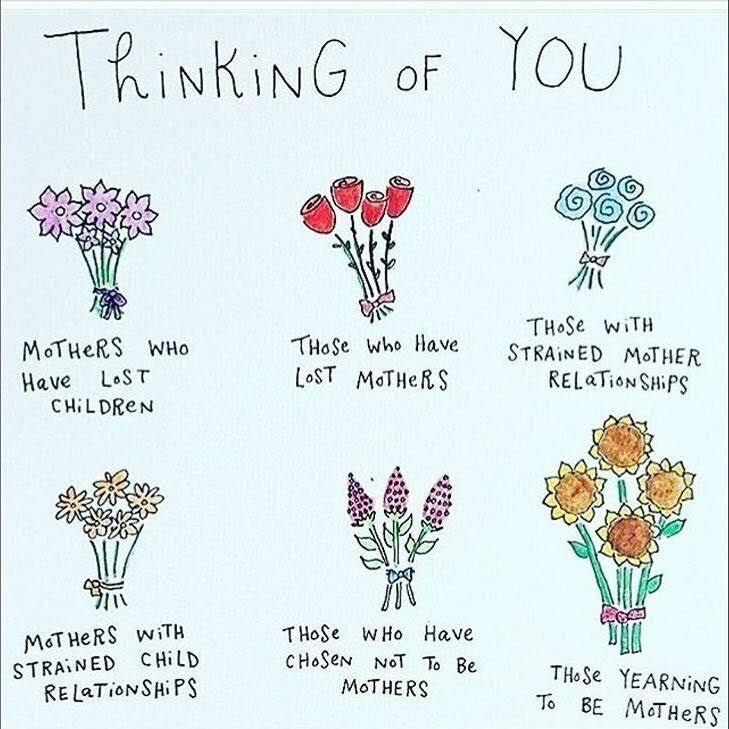 I know I am not Owen’s mother, but Mother’s Day dredges up all the complicated emotions and raw sadness that still exist, and maybe will always exist, when it comes to my relationship with Owen. 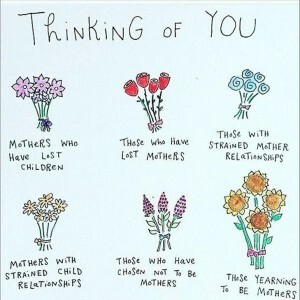 Mother’s Day is really complicated for lots of people. I thought this captured that complexity beautifully. I recently saw a blog post where the author stated grief is a lot like running, it never gets easier, you just get stronger. As strong as Ryan and I are and as strong as we get, special occasions — Mother’s Day, Father’s Day, birthdays and the like — remind us how very hard life can be. This year I didn’t feel right celebrating Mother’s Day. Maybe next year will be easier. 38 weeks old. There’s no ambiguity about how much we love the Squish.